This is a photo I took in Provincetown, Mass while visiting friends. It was in a zen garden at a local shop. 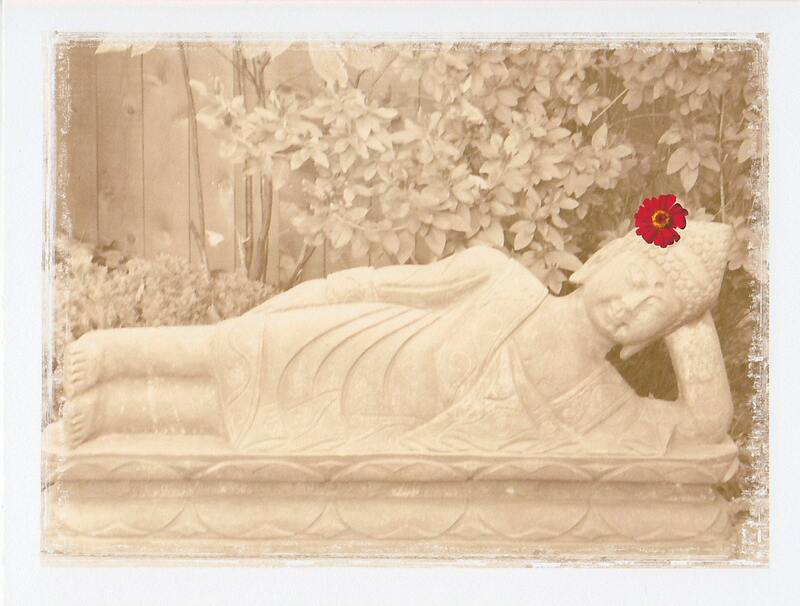 I changed the tone to sepia and digitally added the red flower as an offering and a whimsical touch. I have chosen a worn, old photograph look for the edges.